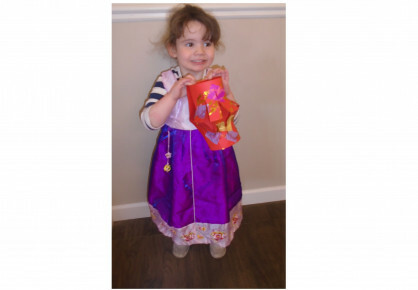 We have a fabulous day celebrating Chinese New Year at nursery today. 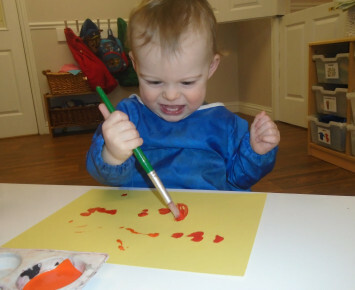 The children in our Baby Room experimented with mixing red and yellow paint to make new colours. Oakley learnt to say a new word today; "ginge" (orange). The children in our two to three year old room had lots of messy fun printing with traditional Chinese noodles. They explored and talked about the marks they made as the paint filled noodles spread across the table. Joshua said "The noodles look like a really fast racing track." 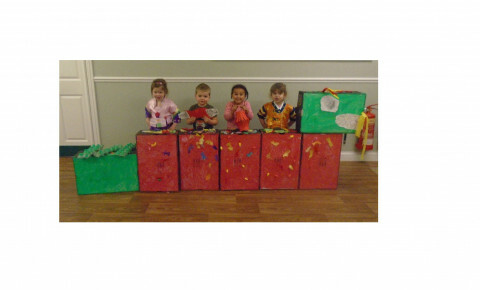 Pre-School had fun day making a life sized Chinese Dragon out of old boxes and cartons. They worked together to paint and decorate all the boxes. 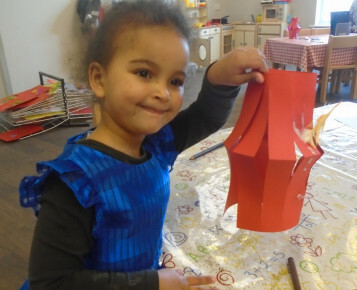 The children also made individual lanterns and concertina dragons. As it is the year of the dog, the children brought in photographs from home of their own dogs and talked about them with energy and enthusiasm, listening carefully to what their friends had said.